Dubai Residents can now obtain a new freelance package for an annual fee of Dh7,500 in media and education sectors with Dubai Media City (DMC) and Dubai Knowledge Park (DKP), officials announced. The package, called Gofreelance, was launched by TECOM Group, a member of Dubai Holding, in partnership with Dubai Creative Clusters Authority. The annual fee includes the Freelancer Permit and access to the Business Centre. If the candidates require a visa, such as if they are non-residents who want to freelance here, relevant “assistance” will be provided. However, the visa will cost separately as per the normally associated fees. Gofreelance was announced during a media briefing at Dubai Press Club. Speaking at the event, officials from Dubai Media City outlined the benefits of the new package, which offers a freelance permit at a significantly lower fee (around half) than previous freelance packages in Dubai. At the moment, the permit is restricted to certain “activities” in each of the two sectors of Education and Media. For example, in Education, there are five activities, including Education Advisor, Researcher, and eLearning Advisor. The Media category, on the other hand, has almost 50 activities, including Actor, Animator, Cameraman, Journalist, and others. 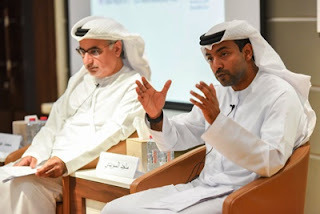 Majed Al Suwaidi, managing director of Dubai Media City, Dubai Studio City and Dubai Production City, told the sidelines of event that the new package comes in line with expectations of a changing professional market. “We see there are a lot of changes in the industry. The media industry today is not like the media industry 10 years ago. How individuals interact with the media and how the media interacts with individuals has drastically changed,” Al Suwaidi said. Al Suwaidi also said there are a lot of people “‘freelancing’ without the right [legal] structure. What we’re saying is that the right structure is better for you – and it doesn’t cost you that much”. Mohammad Abdullah, managing director of Dubai International Academic City (DIAC) and DKP, told Gulf News there has been “strong interest” from the community for the new permit package and officials have started receiving applications. “Freelance permits have been there before, but today’s event is to announce the new package. We’re making the process easier, faster and have reduced the cost, by around 70 per cent compared to many cases earlier,” Abdullah said. The process for obtaining the permit has also been simplified, with almost all of the needed steps done online at www.gofreelance.ae, the website of the permit. Candidates have to upload the application forms and required documents, such as their CV, passport and visa copy, a bank reference letter, and sponsor’s NOC (if applicable). Once the application is approved, candidates will receive an email notification and then visit one of the business centres in DMC or DKP to personally sign the documents and pay the fee. During the visit, the candidates may be asked relevant questions regarding their application for clarification or verification purposes. Shortly afterwards, they will receive their freelance permit via email.